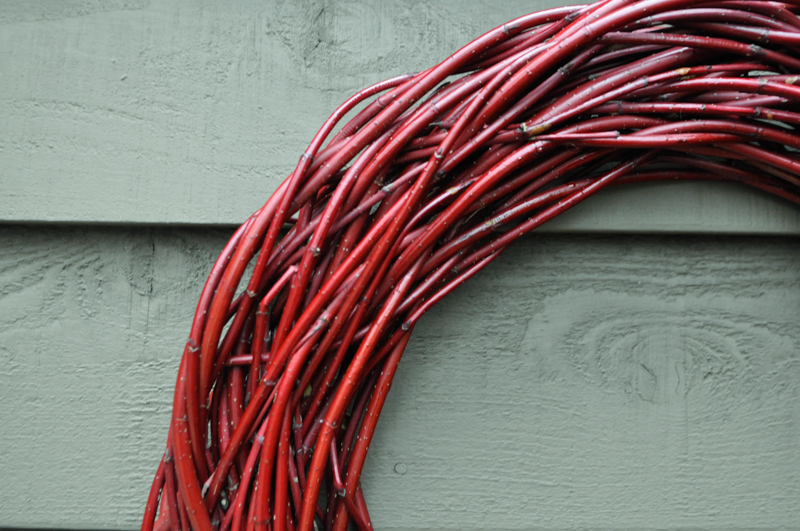 Last season we had leftover dogwood branches from Red Twig Farms that we experimented weaving into different forms. Our most successful design was a simple wreath of the branches. We sent a few off to Terrain as prototypes, and this Christmas they placed an order for both Yellow and Red Dogwood wreaths. 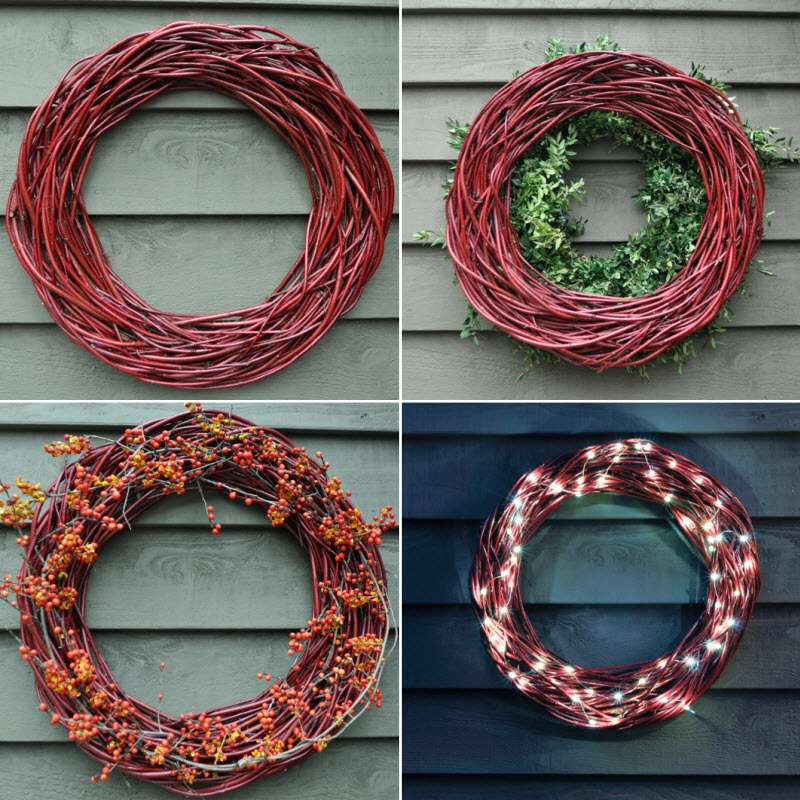 The wreaths are beautiful alternative to classic evergreen wreaths and the traditional brown grapevine wreaths. We saved a few of the Red Dogwood wreaths at the shop and have been practicing different ways these could be used during the holiday season outside of bow adornments. The wreaths are not listed on the website, but I am sure you can directly contact either Terrain location if you are interested in purchasing a wreath. I wish we had some of the yellow wreaths to show, but we shipped them all off before we took any photos. This entry was posted in Arrangement of the Week, Before and After, Central Ohio, G A R D E N S, McCullough, New Albany, Ohio, Redtwig Farms and tagged bittersweet, boxwood wreath, central ohio, Columbus, garden design, New Albany, Ohio, red twig dogwood, red twig dogwood wreath, Red Twig Farms, Stargazer lights, stems, string lights, twig wreath, twigs, wreath, wreaths by Nick. Bookmark the permalink.